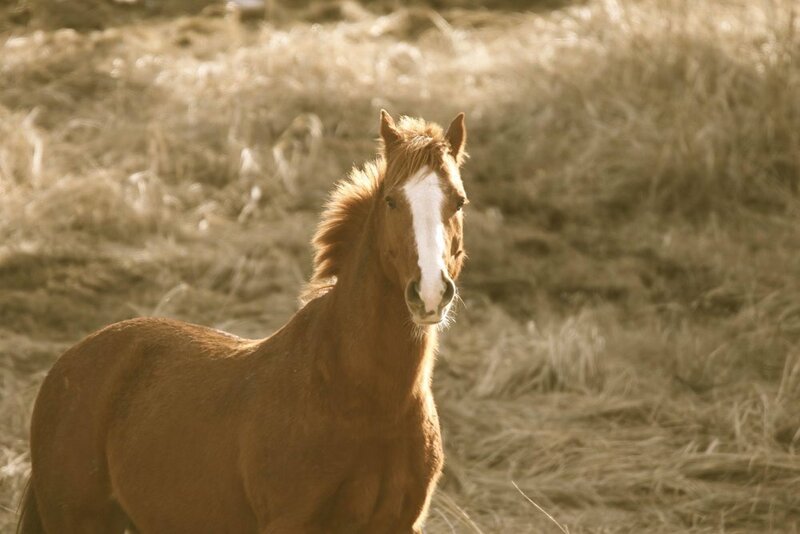 We rescued Otis from a Kill Pen after he went through Eugene Auction - we really thought he would get bought at auction as he is a beautiful broke 18 year old ranch horse who just has the best manners and gorgeous gaits and has absolutely nothing going against him. But sadly it was a cold winter night and turnout was poor and the only person bidding was the kill buyer. We wanted to get him back quickly before he got sick so our trusty ranch manager Jon offered to go up there and we worked with another local rescue who wanted a mare who had also gone through auction - so together we got them both back. He was a little skinny when he got here and very scared but now Otis has to be the sweetest, most patient, easy going, perfect horse here. This horse is living the life, hanging out with some good friends, eating some good food and being loved on every day. He runs with the boys herd and is possibly one of the easiest, trouble-free and well mannered horses we have.